Poker Superstars 3 download. Free download Poker Superstars 3 game. Are you ready for the next challenge? 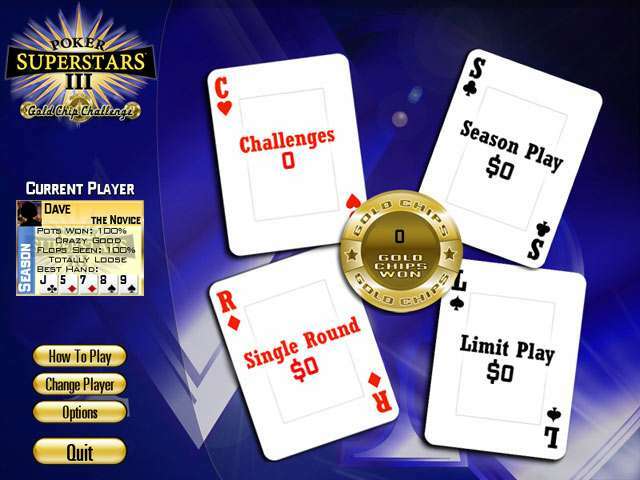 Poker Superstars III Gold Chip Challenge raises the stakes with new superstars, a brand new challenge play mode and new gold chips to win for great plays. It is the game that is packed with challenge. Be one of the Poker Superstars by importing your photo in to the game! The Superstars are up for the new challenge, are you? Brand New Game Mode, Challenges! New Superstars! Take on 12 masters of the game. Gold Chips! Collect them for great plays. Can you win them all? Artificial intelligence system that has taught itself how to play, and how to win. You get to play the dynamic and competitive Big Tournament right from the TV show. The game will track all your winnings, flops seen %, pots won % and best hands. So you'll be able to see what kind of poker player you are. 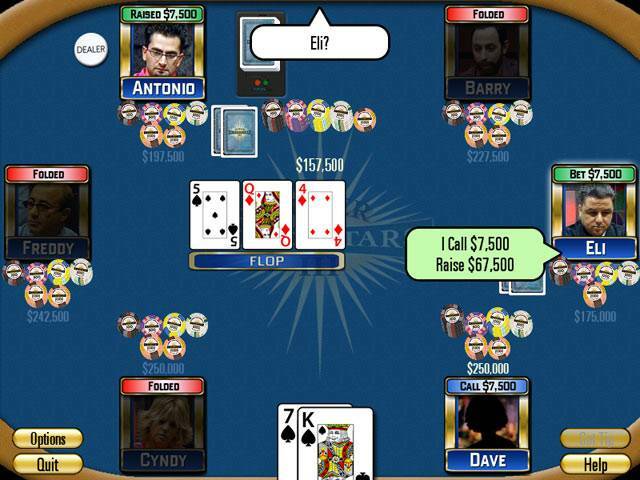 Play Poker Superstars 3 Online - Free! We have no player reviews for Poker Superstars 3 yet.